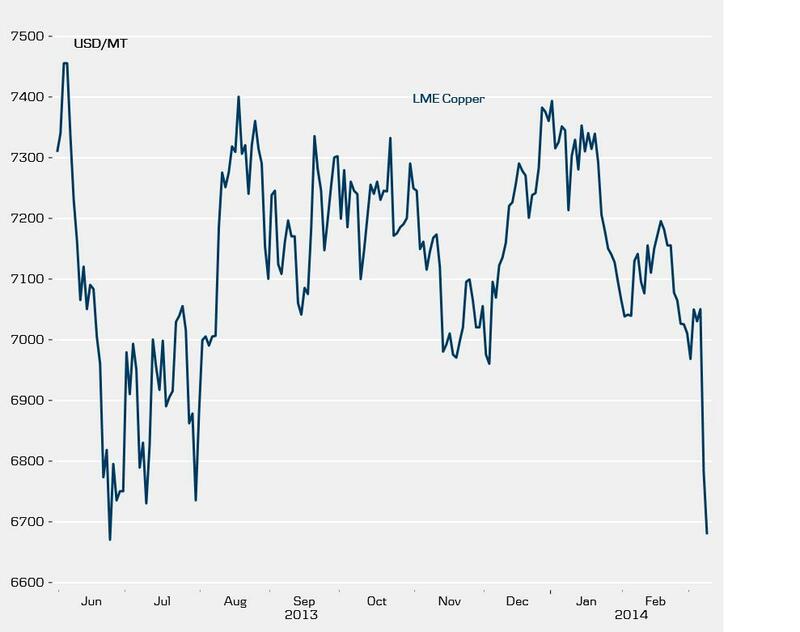 I have been wondering about copper prices. But I also contend that many commodities prices were turned into speculative markets in the 2000s. Evidently, some players own huge warehouses positions in copper, as well as speculate. It is legal to cloak positions in commodities (unlike stocks) and it is legal to plant stories in the media etc. It is the Wild West. That is to say the current selloff could by exaggerated due to speculation.